A cute, easy (and Cheap) little gift! When I first saw the box of 24 fruit cups at Sam’s Club I knew that the little pop top cans they came in would be great for crafting. 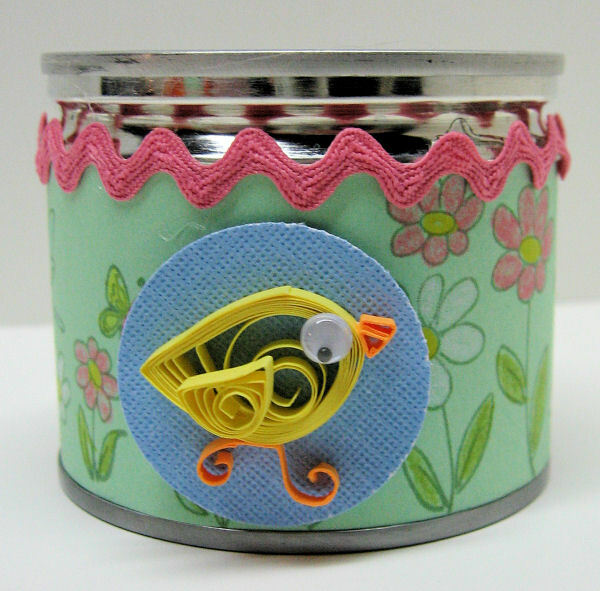 You get 24 little tins of fruit for about $8 and when you are done eating it’s time to craft! step 2. 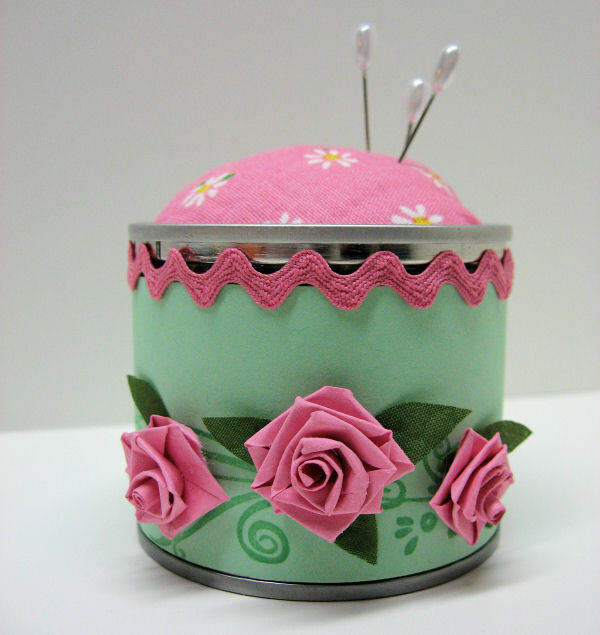 Cut strips of paper to wrap around the can. I you want to stamp it do so before gluing it to the can. step 3. Add more decorations. 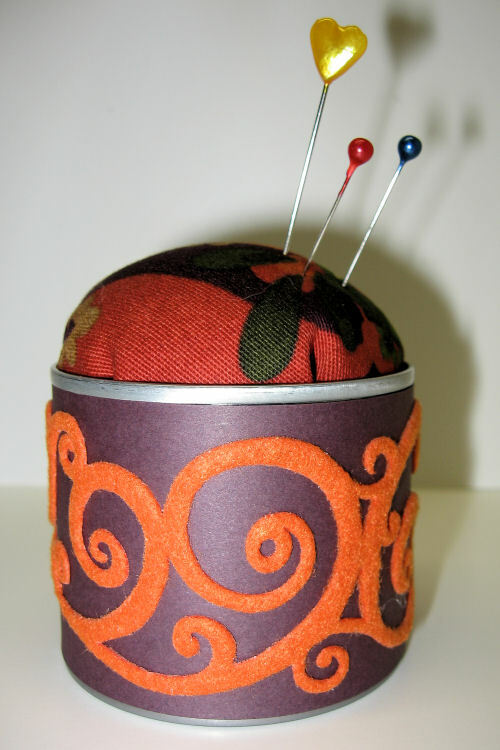 You can leave it like this to have a votive holder or keep going and make a pin cushion. Very pretty! 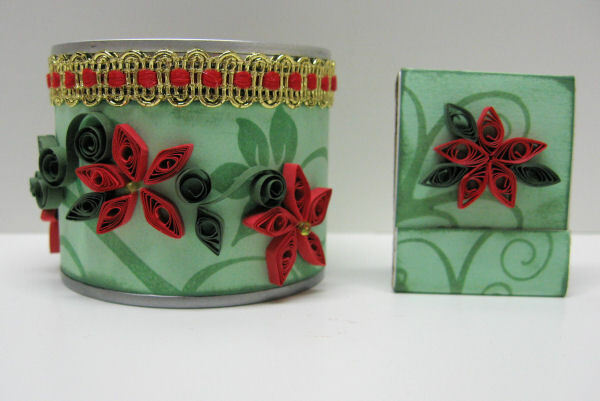 Love the quilling!